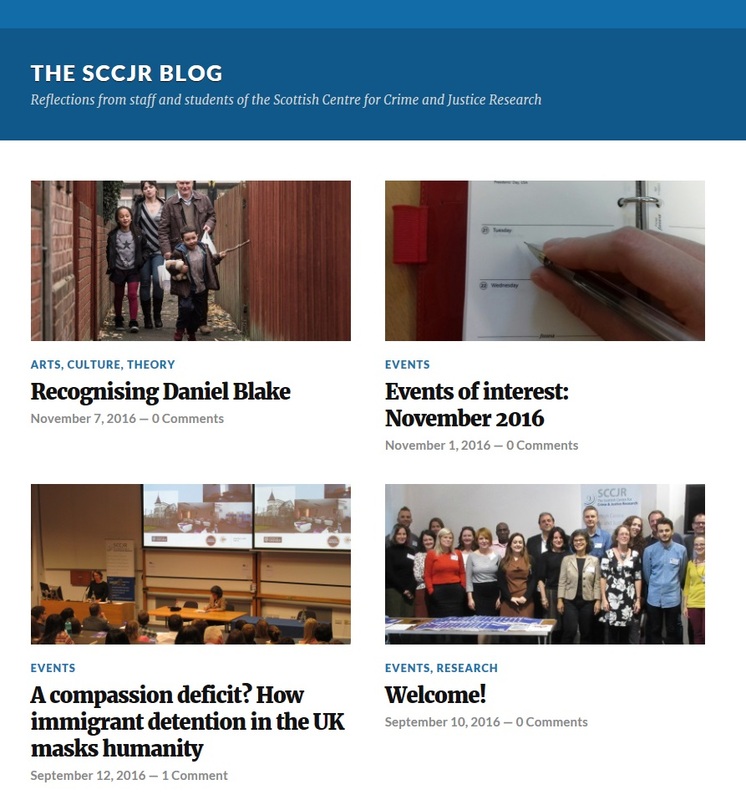 SCCJR has launched a new blog bringing together crime and justice-related reflections by staff and students across our member institutions: the Universities of Edinburgh, Glasgow, Stirling and Strathclyde. The blog will feature a diverse range of contributions, from PhD project updates and conference notes to arts reviews and listings of lectures, seminars and other events of interest. An account of Mary Bosworth’s searing SCCJR Annual Lecture about migrant detention, delivered as part of the Centre’s 10th anniversary celebrations. A review of Ava DuVernay’s documentary 13th, which illustrates the intersection of race, politics and mass incarceration in the USA, by Masters student Kevin Schlenker. We would love to hear your feedback on the blog, via the comments sections or direct to enquiries@sccjr.ac.uk.